Over the past seven years, the conservative movement has latched onto a series of “scandals” involving the Obama Administration. These scandals have almost universally been blown out of proportion, if not completely fabricated in order to serve a partisan political narrative. Just to name a few such examples: When Obama first entered office, the GOP championed the “birther” controversy (completely false), then latched onto the “Fast and Furious” gun-running scandal (a forced error started by the Bush Administration), followed by the IRS “taxgate” scandal (now proven completely baseless), and then the Benghazi attack. Ironically, the innumerable manufactured scandals of the right wing have very effectively covered up several real scandals by the Obama Administration—these include the decisions not to prosecute any of the bankers who wrecked the world economy or torturers who wrecked our nation’s world standing, and to assassinate Americans via drone without giving them a trial. The sheer volume and scope of these manufactured scandals are unprecedented in modern American politics and represent a complete severance between portion of the right wing and reality itself. Additionally, they indicate a failure of the media in its duty to fact-check our politicians and act as a tool of accountability. The right wing will call almost anything that Obama does a “scandal,” regardless of the objective facts or even their prior positions—even if he does something that they once supported (ex. passing the ACA) or has been common in American history (ex. executive orders), they will call his actions outrageous and evil. These two characteristic of the right wing outrage machine have turned it into an unfalsifiable series of “choose your scandal” choices by the Obama Administration. Regardless of what the Obama administration does, the right wing will spin it into a scandal that echoes in the right wing media for several weeks until the next scandal occupies their attention. For example: If the Obama administration decides to take executive action on a serious problem facing the country (ex. immigration), then the Republican outrage machine will call him an “imperial president” who is destroying the Constitution and attacking the fundamentals of American democracy. Alternately, if Obama refuses to take action on that very same issue and, instead, waits for the Republican Congress to weigh in, then the Republican outrage machine will call him “weak,” accuse him of “leading from behind,” and say that he has no ideas. 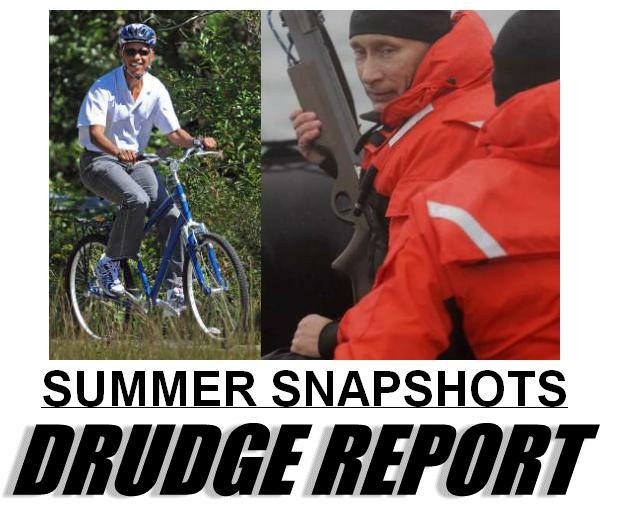 Apparently, Drudge thinks that Obama is an effeminate weakling who isn’t tough enough to be president…. ….unless he is going “street” on somebody (a deafeningly loud racial dogwhistle if I ever heard one) and displaying vicious authoritarian toughness. Because the American people, in aggregate, are horrifyingly ignorant about reality (Case in Point: 42% of the American people are young earth creationists, while 26% don’t know what nation we gained our independence from after the Revolutionary War), and the media has fallen down on the job, the Republicans have gotten away with this tactic. 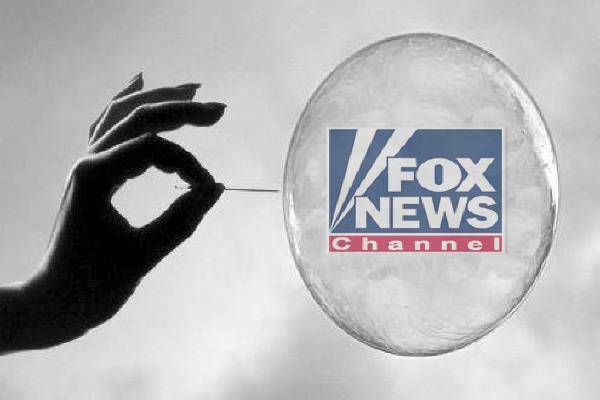 Their lies clutter up the business of government, waste millions in specious investigations, and foment anger in the extreme right wing base that has sometimes exploded into violence (ex. militia/sovereign citizen movement terrorist attacks). Until the media decides to do its job or the American people simply hits its scandal overload point and stops taking the right wing seriously, I am extremely pessimistic about our nation’s political environment. 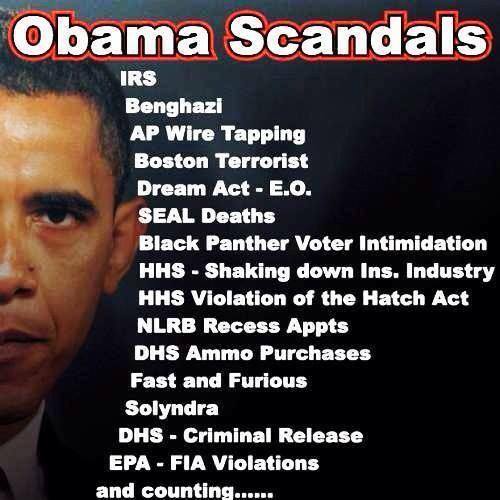 The endless stream of Obama “scandals” will likely transition into an endless stream of Hillary “scandals” and rational people will continue to spend tedious hours debunking nonsensical accusations by partisan lunatics. Finally, real scandals will be ignored in the tsunami of false scandals, and the American people will continue to suffer the consequences of our collective ignorance/inaction. If you want to see the basis of this new breed of ignorance you need to look at two long term trends. First, the devaluation of education by the new right. What was once considered the cornerstone of conservatism, intelligent debate and discussion based on evidence, has now become a “liberal plot”. Whatever happened to William F Buckley ? Second. The deregulation of the airwaves which allowed a few companies to buy up local media throughout the nation. the preponderance of “religious” radio, spouting ignorance 24/7, has drowned out good local talk radio. The ignorance is disturbing. And the well orchestrated attacks on science and critical thinking by school boards across the nation will only lead to more and lore of this nonsense. Most who will be reading this will know where it comes from. The indisputable fact, that two things collided for a perfect storm: there was a Black President elected only 50 some years after lynching was outlawed, and, the Supreme Court recently proclaimed that money is speech. Whether or not all billionaires are racists, they certainly love owning media that supports it, and buying elections for those that are.